All industries produce waste products that unless treated or mitigated in some way will be harmful to the human or natural environment. These waste products will generally need to be identified according to the industrial process in question, neutralized or rendered less harmful and finally disposed of into the surrounding land, air or watercourses. It is therefore of vital importance to every environmental, pollution or plant manager or engineer that these processes be fully understood and implemented or the cost to either the company or the environment can be catastrophic. With increasing government regulation of pollution, as well as willingness to levy punitive fines for transgressions, and the ever-present financial imperative to carry out these activities in the most efficient and cost-effective manner it is the responsibility of the professionals in question to ensure that they have the most up-to-date information available at their disposal. 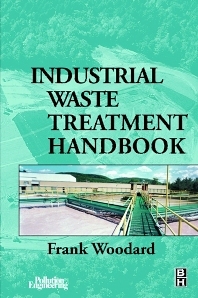 This book provides not only that, but the only available methodology for identifying which waste types are produced from which industrial processes, and how they can be treated. This unique feature makes this book one that every environmental, industrial and plant manager, engineer and consultant will want to have on their bookshelf. Industrial Waste and Environmental Engineers, Plant Engineers, Industrial Chemists, Process and Chemical Engineers, Industrial Health and Safety Professionals and Environmental Health workers.